[Trade Catalogue]. [Medicine]. Maison Mathieu. 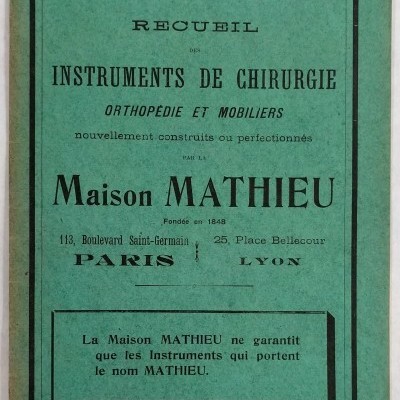 Recueil des instruments de chirurgie orthopédie et mobiliers: nouvellement construits ou perfectionnés. Année 3, No. 2 (Sept. 1908). Paris: 1908. 8vo, 16 pp. ; illus. 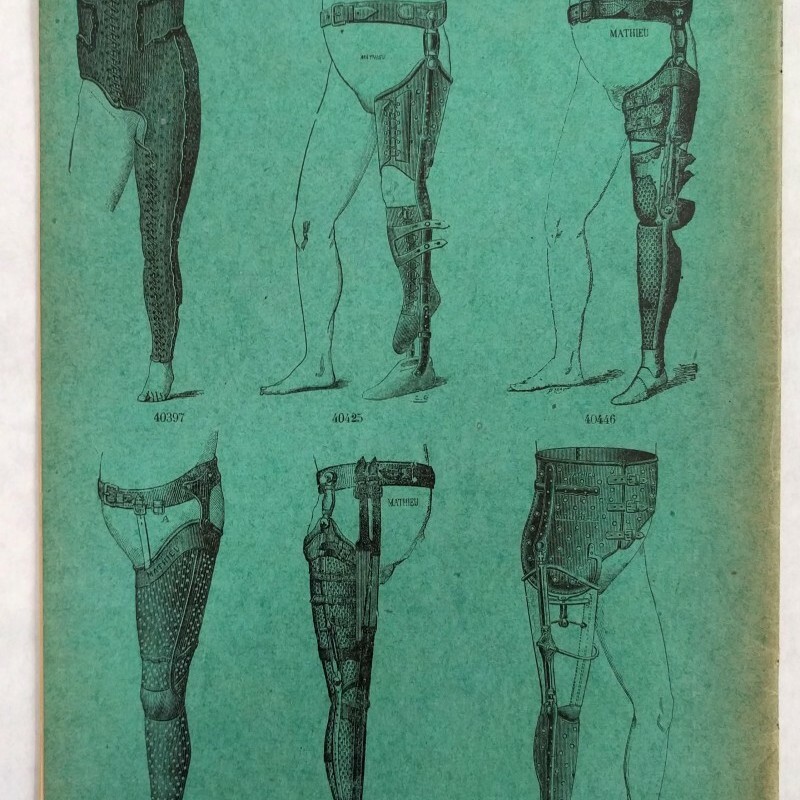 with photographic reproductions and technical drawings; orig. 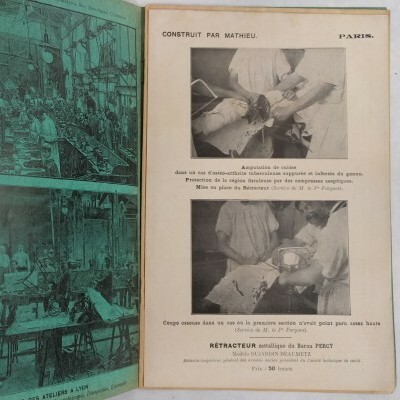 printed wrapper, contents neatly removed from staples, wrapper toned with light wear at extremities; additional plate and advertisement laid in. Instruments of surgery, predominantly for amputation, and prosthetics. Add’l plate with 2 graphic images of an amputation. OCLC locates no holdings with this issue statement.